I had the honour, and I use that sarcastically, of having some backups failing recently following a TSM upgrade. While the reason is not clear as to why a newer version of TSM failed my guess is that how TSM sends API or other calls has changed and that’s why the error came up. The new TSM version can make API calls based on a specific version of vSphere. As the environment was upgraded from vSphere 4 to 5 etc. the original license key edition was at the top of the license chain and this is what was being interrogated by the APIs so it failed to capture a valid backup. 08/12/2015 17:32:39.321 : vmvddksdk.cpp       (1168): VixDiskLib: Error occurred when obtaining NFC ticket for: [DATASTORE_NAME]  VM_NAME/VM_NAME.vmdk. Error 16064 at 3707. 08/12/2015 17:32:39.321 : vmvddksdk.cpp       (1024): vddksdkPrintVixError(): VM name 'VM_NAME'. 08/12/2015 17:32:39.321 : vmvddksdk.cpp       (1054): ANS9365E VMware vStorage API error for virtual machine 'VM_NAME'. While it was not the exact issue I did find a VMware KB article which mentions removing the license from vCenter MOB (Managed Object Browser). The details however were not clear. Thankfully the community came to the rescue and I found the real solution in GSparks response from the Community thread. The overview was there but not the intimate detail which is why I’ve documented the process here. Open the MOB for your vCenter environment from the browser. It will most likely have the address of https://vCenter_Hostname/mob. Once you log in go click on The following: Content > License Manager >LicenseManagerLicenseInfo> and take not of the editionKey > . If it is set to esxBasic then you’ll need to remove and re-add the license as per GSparks recommendation from the above Community Thread. 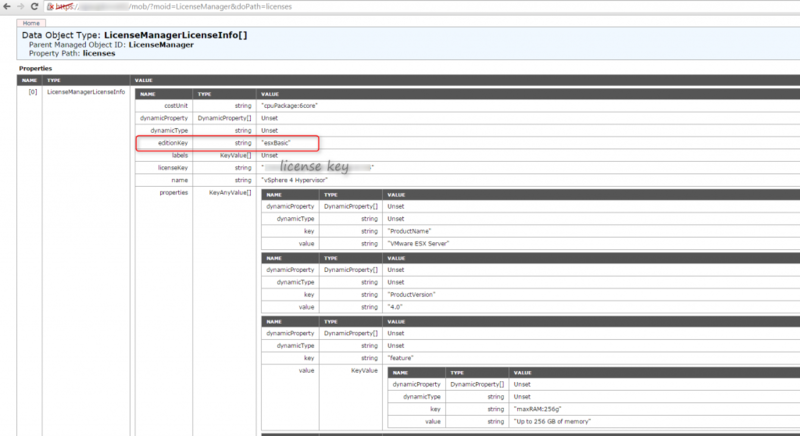 Make sure to copy the licenseKey string as you’ll need this to re-add the license later. Enter the license key you copied earlier and click on Invoke Method. 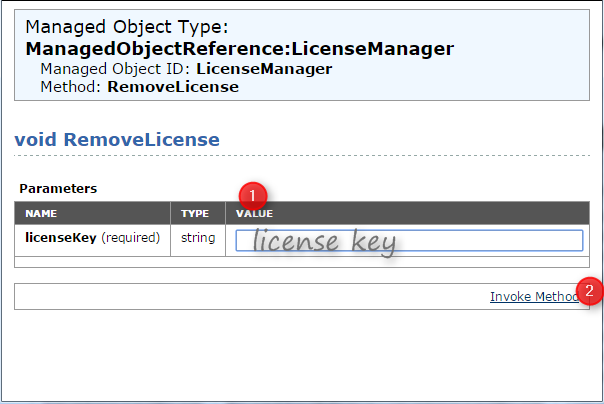 This will remove the license from License Manager. 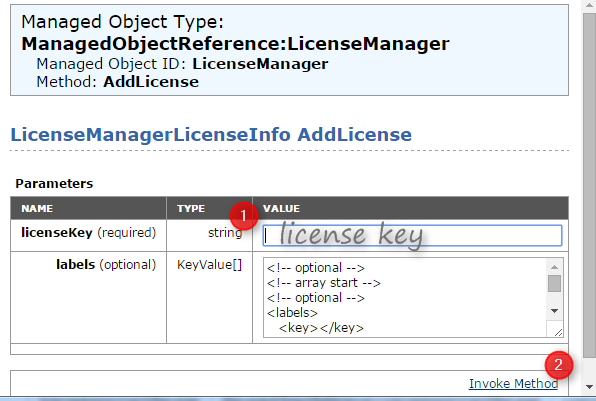 Click on AddLicense under Methods. 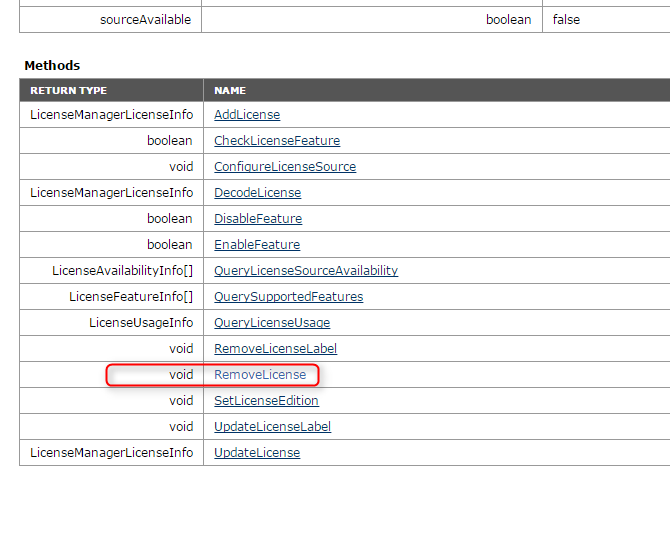 If you scroll down through the licenses you’ll see that the license has been re-added but is further down the listing. This entry was posted in TSM, VMware and tagged GSparks, NFC Ticket, TSM, VixDiskLib, VMware. Bookmark the permalink.